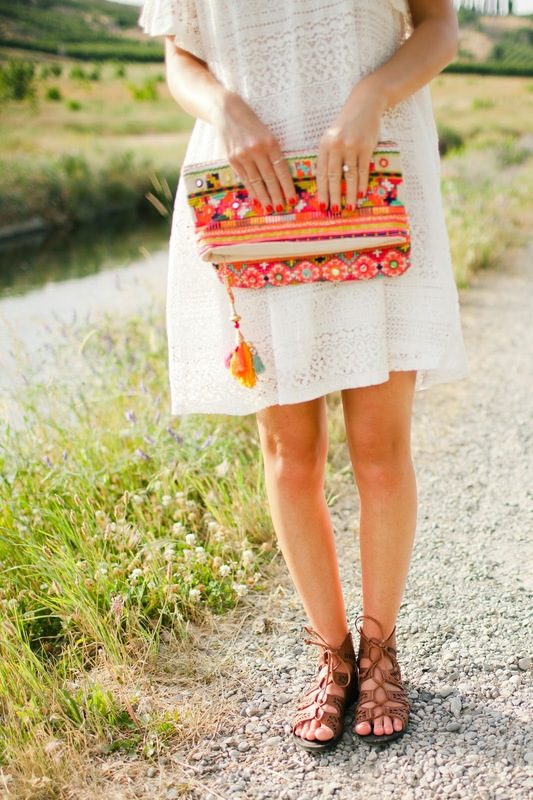 This little white dress is one of my favorite purchases this summer! I absolutely love the crochet detailing and the off the shoulder top! This is actually the dress I wore to my bridal shower this weekend (pictures coming soon) and it could not have been more perfect for a hot summer day! 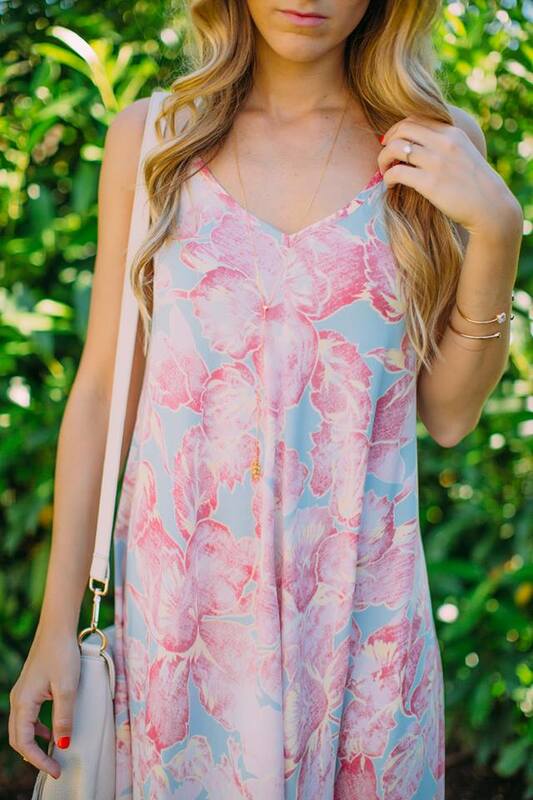 This dress also comes in a sunny yellow and is currently on sale for under $50! If you are loving the off the shoulder trend as much as I am, check out all of the options here. Confession. I have worn this Sweetest Stitch dress too many times since receiving it. When I don’t know what to wear, I automatically pick this dress out of my closet. 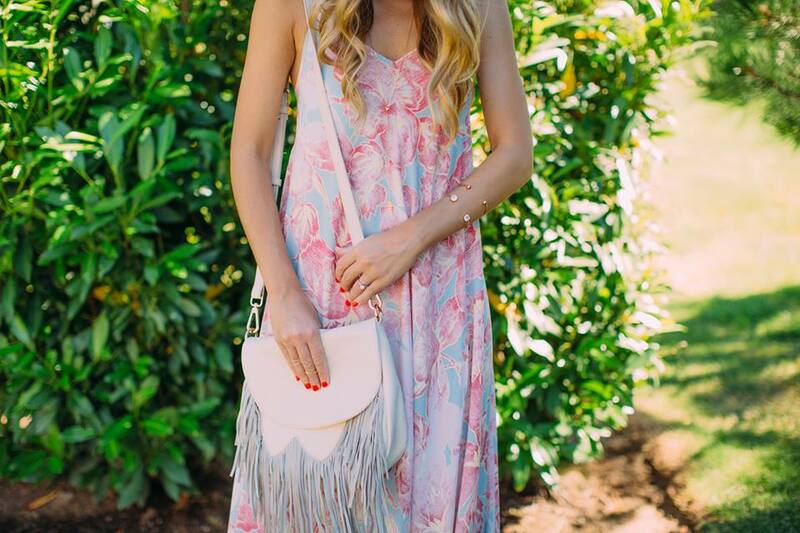 I’m not sure if it’s the print, or the open back and tassel tie or the absolutely perfect flowy fit, but it seems to fit the bill for just about any and every occasion. This was how I styled it for date night with E…wedges, and simple jewelry. I styled it for running errands a few days later by pairing it with a lacey bralett and my favorite gladiator sandals. This will definitely be going with me and E and I’s mini-moon in August!